I looooove mushrooms. It’s one of my very favorite foods, right at the top of the list with eggs and avocado. 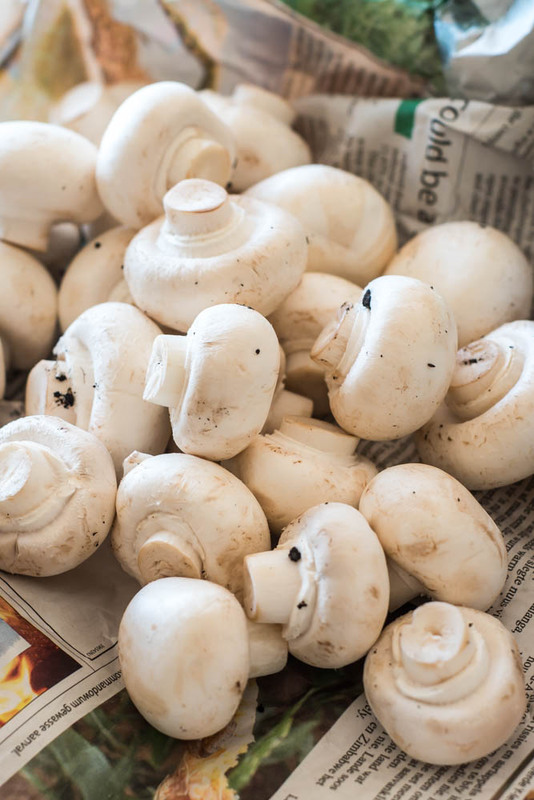 So, I’m always thinking of new ways to cook with mushrooms, the same way I’m doing with eggs. There’s always something new to discover! So, my inspiration today came from a menu item at a family favorite South African restaurant, Spur, back when I was a kid. I’m pretty sure it hasn’t been on the menu for a solid 10+ years (sad face). 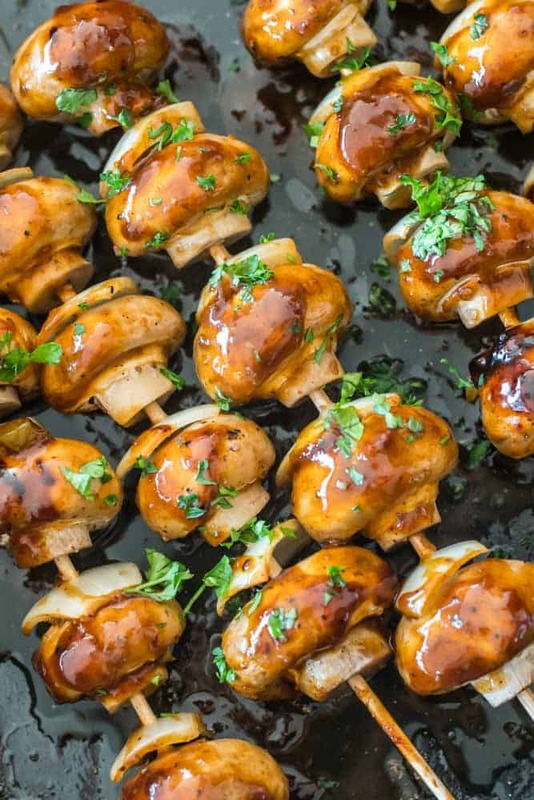 They called it a devil’s fork, but I’ll just call it 3-ingredient mushroom skewers. Mainly because I don’t have a devil’s fork-looking contraption to stick these mushrooms on (bigger sad face). If you boil it down to the basics though, it’s just BBQ mushrooms! And boy, are they good or are they good?! I decided to roast these in the oven, but tbh they taste even better done on flames! So, next time you’re outside, enjoying the warmth, grilling out with friends and family – be sure to add this to the menu! 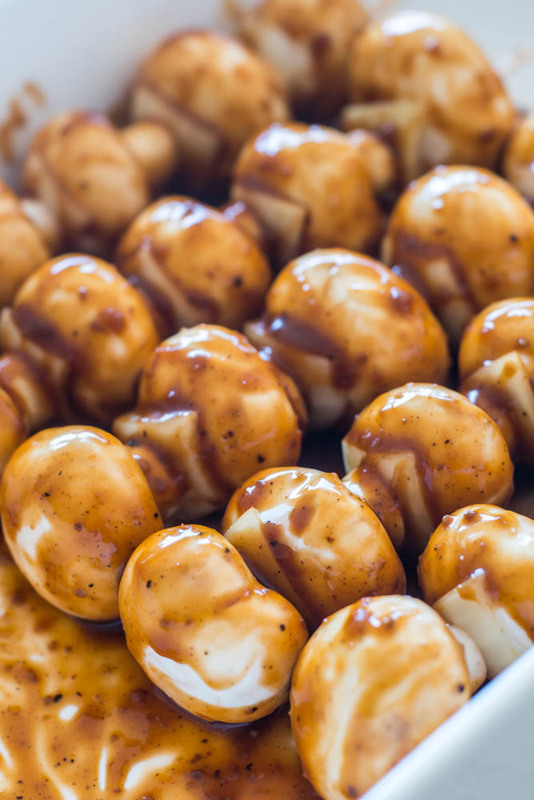 All it takes is fresh button mushrooms, half an onion and your trusty favourite BBQ sauce of choice! Stick the mushroom on the sticks, with a little slither of onion in between each one. Coat them in said trusty favorite BBQ sauce and pop them in the oven. They go in for about 20-30 minutes depending on the size of the mushrooms. And then, that’s literally it. Can’t get any easier now, can it? Haha! 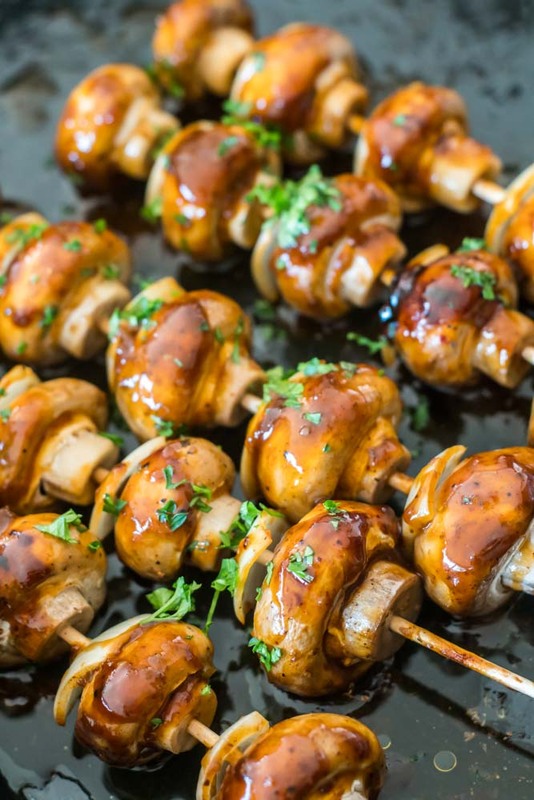 BEHOOOLD our super yummy and super easy 3 Ingredient BBQ Mushroom Skewers! 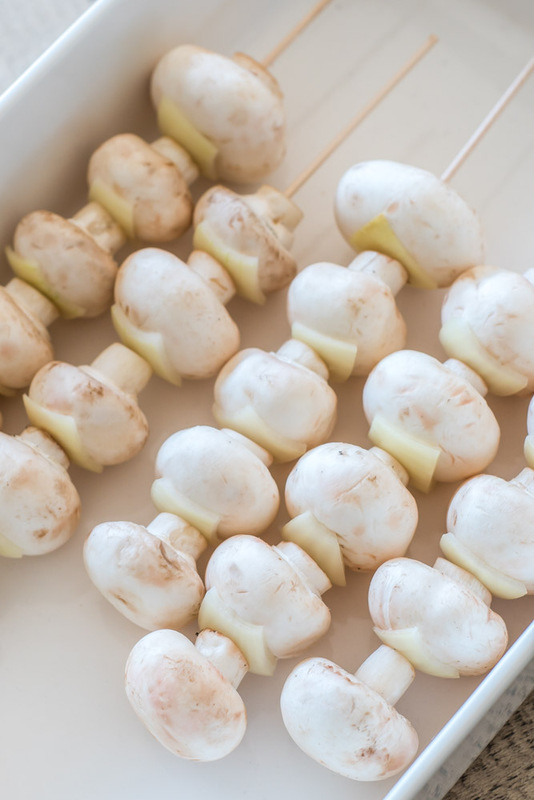 Arrange the mushrooms on skewers, with a slice of onion in between each one. Arrange on a baking sheet. Season with salt and pepper. 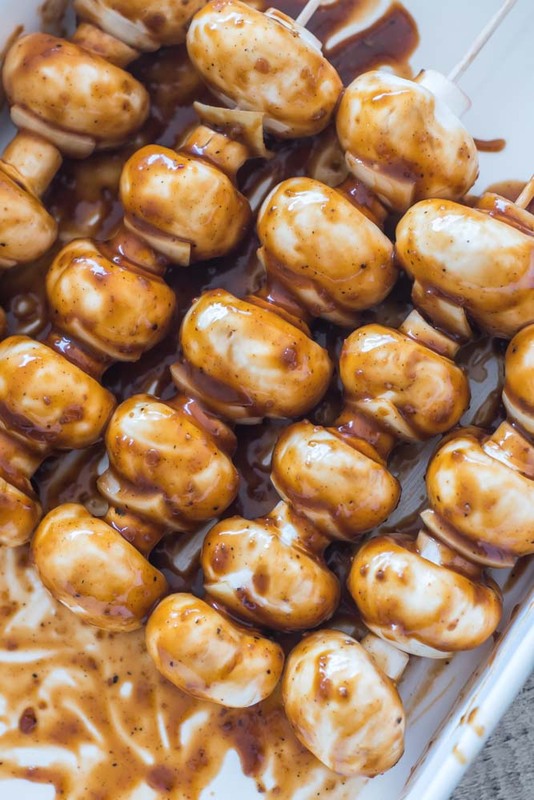 Pop into the oven for 20-30 minutes. Garnish with freshly chopped parsley!